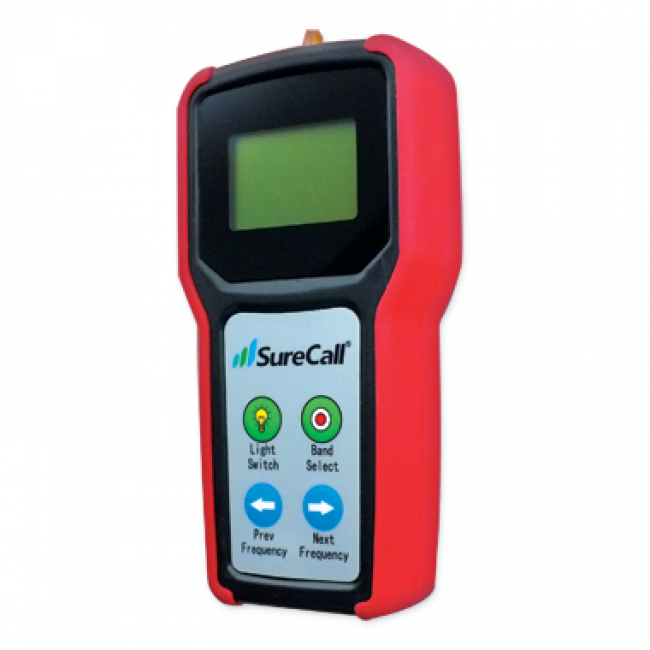 The SureCall SC-METER-01 Five-Band RF Signal Meter is designed for professionals to conduct site surveys and help aim directional antennas. 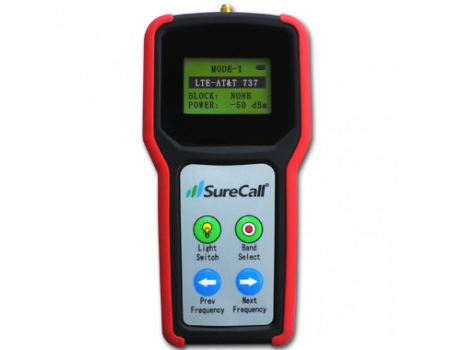 The SureCall Signal Meter can measure signal on the five main frequency bands used in North America. 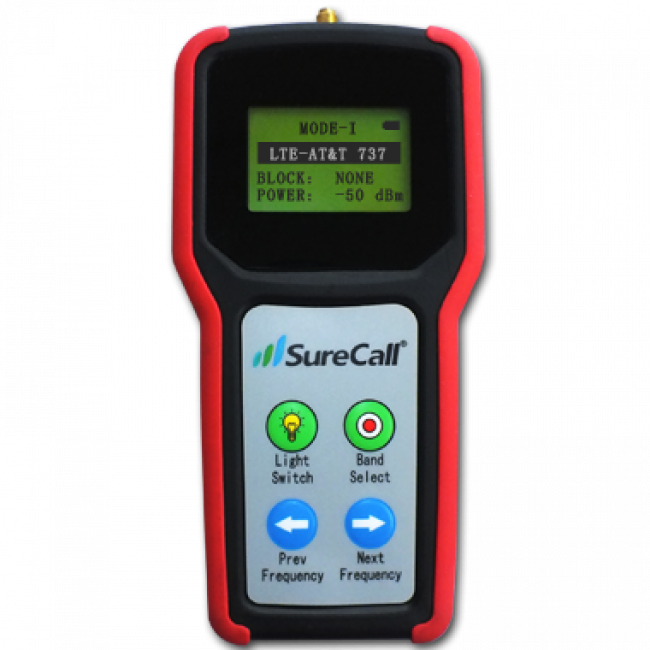 The SureCall SC-METER-01 Five-Band RF Signal Meter by Cellphone-Mate is designed for professional installers. The signal meter can detect and measure existing signal strength which can be used to determine the best location for outside antennas or to help aim directional antennas. The SC-METER-01 can also be used indoors to identify the locations inside that suffer from poor signal strength to help in locating the inside components. 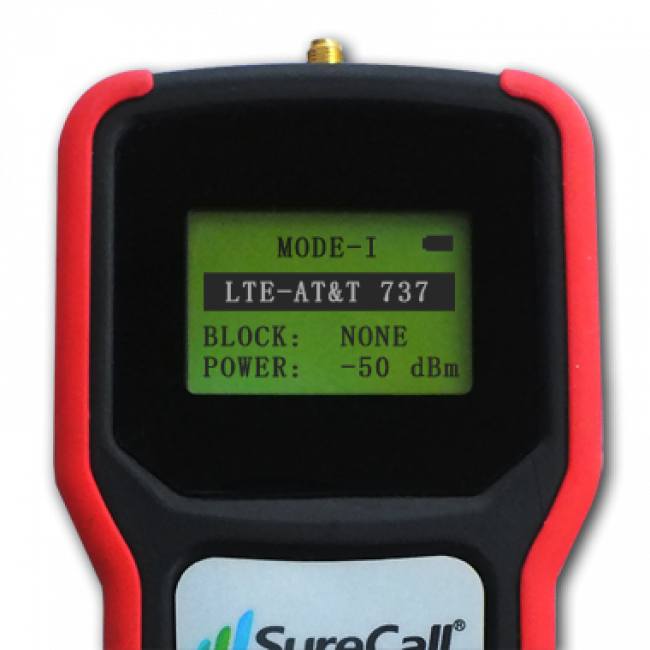 The SC-METER-01 is a five-band signal meter that can measure signal strength on the two 700 MHz bands used for Verizon and AT&T LTE, 800 MHz Cellular & 1900 MHz PCS which are used by most carrier's 2G and 3G networks, and AWS which is used by T-Mobile, MetroPCS, and others. The built-in display shows you which band you're measuring, if any block is selected, and the signal strength in decibels. The meter is highly sensitive and can detect signals as weak as -110 dB. The meter includes 4 AAA rechargeable batteries which can power the meter for up to 2.5 hours. The SC-METER-01 includes an SMA-Female port for connecting an external antenna. During a system installation, the meter can be directly connected to an outside antenna to help determine the ideal mounting location and aiming direction. By improving the location or aim of the outside antenna, you help get more existing signal to the amplifier which can greatly improve the coverage area and performance of the signal booster system.